I am delighted to announce that I have been selected as one of 7 recepients by Patricia Anne McGoldrick to receive this new award created by Hannah Gosselin. In addition to these wonderful achievements I am proud to claim Patricia as a "poeming friend" with whom I have written side by side for many years. Additionally Patricia shared some particularly profound and touching poems in our latest anthology Beyond the Dark Room. Patricia is a wonderful poet as one can easily see by her public acclaim - she is also a fine, gentle, compassionate and empathic soul and I am delighted that she thought of me as a recipient. Stay tuned for my selected list and seven things that you might not know about me. Once again my thanks to Patricia and for the opportunity to highlight her here on my blog. As mentioned above, my good poetic friend, the talented Patricia Anne McGoldrick was kind enough to nominate me for The Sisterhood of the World Bloggers Award. I in turn have nominated seven others. It could have been very difficult, if not impossible, to pick just seven, but I am cheered by the fact that in being so limited I will not be creating an undue burden on those I did select to find another seven– as so very many wonderful names remain to be chosen! The rules that accompany this award are quite simple . 1) thank the person who nominated you. 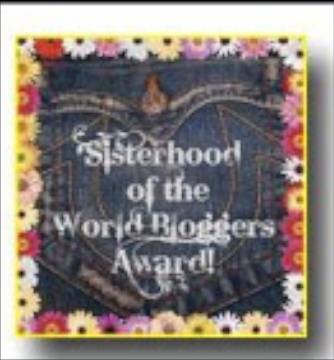 2) pick 7 others to receive the “Sisterhood of the World Blogger Award” 3) write 7 things about yourself. Easy peasy. Have fun visiting other blogs and getting to know one another even better than we think we already do! 1. I spoke in full sentences at 8 months old. 3. I read complete books at age 2, wrote short stories and poems by 6 or 7. 4. I peaked at 9 when everyone else could also speak, read, and write. 5. I feel a moral imperative to bear witness and/or to attempt to stop injustice. 6. 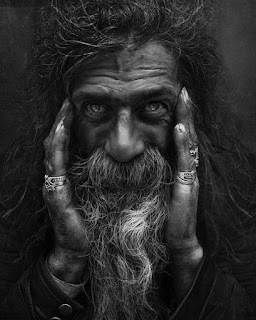 I am vested in maintaining a good name and being thought of kindly. 7. I finally accept that I am not likely to live either in a palm braided shack on a deserted beach nor in another age in a fully appointed and staffed castle. DAY 26. A "Something I Would Collect Poem"
(Imagine, Closer To Fine, Hey/Soul Sister, Prince of Darkness, Secure Yourself).